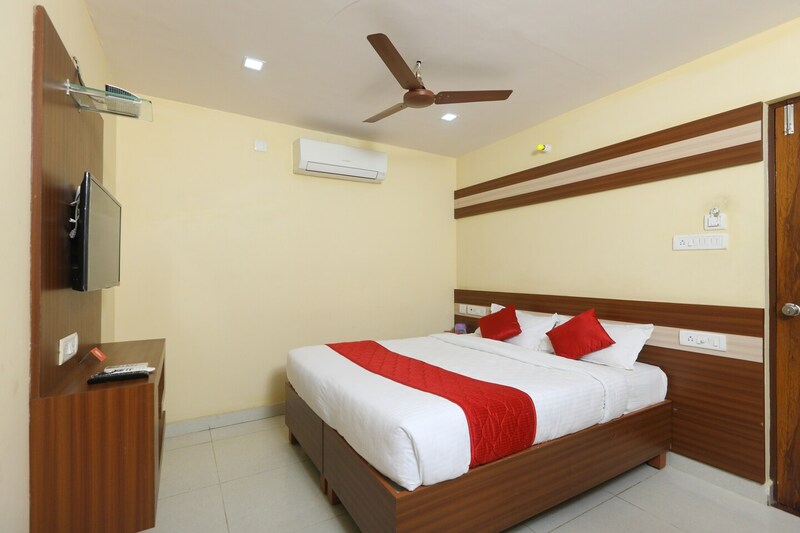 The Krishna Prasad is a popular choice among travellers looking for accommodation facilities to stay in for a short period without feeling a pinch in the pocket when in Chennai. The rooms in this property are done stylishly and the wooden panels add a touch of elegance to the room. Minimalist decor has been used in the room and the overall decor feel warm and inviting. Curtains used in the room add a burst of color to the otherwise neutral room. The furniture provided in the rooms has a smooth wooden finish. The additional features provided by the hotel are CCTV cameras, free Wi-Fi and card payment. The hotel is situated close to a number of tourist points.